Despite the rather pompous name and the ceremony surrounding entry, Modjadji’s Royal Kraal is little more than a humble settlement in the lush and fertile valley of Magoebaskloof. 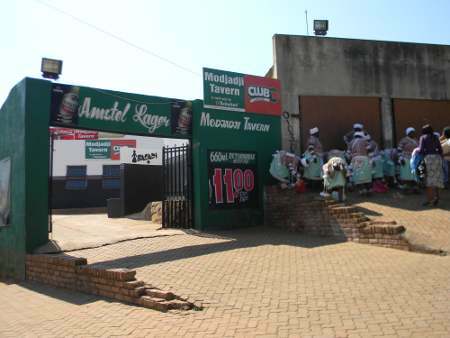 You will know you’ve reached your destination when the narrow road winding its way up among cycad forests and an assortment of colourful huts provides a left turn into the parking lot of Modjadji Tavern – a rather neat establishment with predominantly green and red signs painted on the walls advertising Amstel, Heineken and Coca-Cola. Here, under the welcome shade of Acacia trees, we disembark, cover ourselves appropriately and meet Ballpen Molokwane, secretary of Modjadji’s royal council, member of the royal family and our host for the day. While guiding us along the narrow paved footpath adjacent to the tavern, he makes small talk and in a casual manner asks us to leave our shoes behind at the entrance to the large lawn – patched with hot red sand causing our sensitive city soles to dance of own accord – that serves as the center of kraal life. This very patch of earth, Molokwane tells us, is where part of the big rain-making ceremony takes place during the first weekend of October every year. 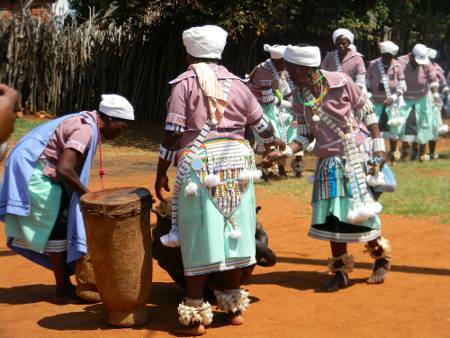 The ritual entails a lot of singing, dancing and drinking of home-brewed beer as well as giving homage to the ancestors by feeding their representative, a holy cow named Mokobo, and washing her with the frothy brew. 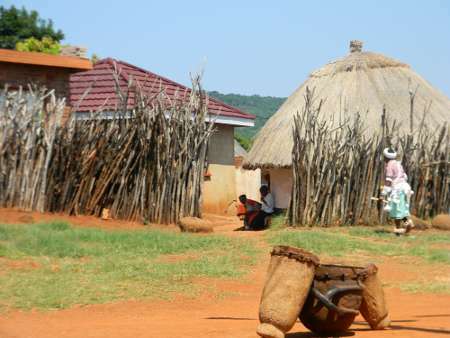 “The cow is named after the founder of Modjadji’s tribes – a young girl who had to flee her home in Zimbabwe’s Monomotapa when she fell pregnant with her brother’s child, a big taboo in African cultures,” Molokwane explains. 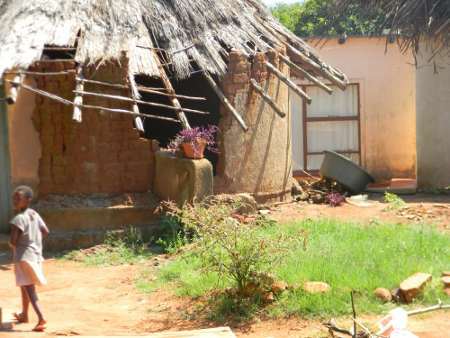 He goes on to tell how Mokobo’s mother stole Monomotapa’s rain charms and gave them to her daughter before she left to ensure that the girl would not go hungry in her new dwelling.”She believed that if there was rain, there would always be food,” tells Molokwane. 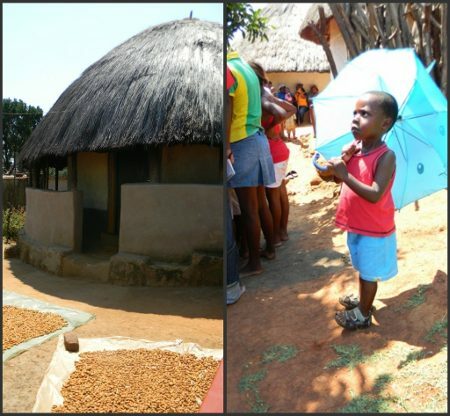 This, then, how the tradition of rain-making filtered down into South Africa form its origins in Zimbabwe. Not really a pretty story or even a romantic one, but nonetheless a dramatic start to one of the world’s most fascinating and mystical matrilineal royal lines. 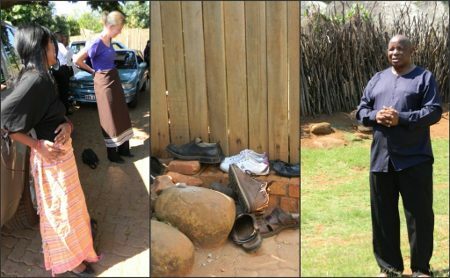 Interestingly, this feminine hierarchy only kicked in about two or three generations after Makobo rooted her new tribe in the rich soil of what we now know as Limpopo. Since the first Modjadji came into power during the early 1800s, she has had five successors, the last of which died in 2005. Sadly the last matriarch, Rain Queen VI Mokobo Modjadji left quite a large void as her daughter was rejected from the royal line, as her father is a commoner. The past 5 years have seen Mokobo Modjadji’s brother, Prince Mpapatla, take over the reins until such a time as a 7th Rain Queen can take her rightful place. Although, until quite recently, many outsiders believed that such a succession is rather unlikely, Molokwane tells us that the next Rain Queen has already been named, althoug she is still quite far from reigning… “She is still just a little girl and we’re protecting her from general public curiosity at this time,” he says of the five-year-old who will be trusted with the rain making rituals and queenship when she reaches maturity at 21. “At this point in time she is living a normal life – going to school, playing with her friends – although she knows that she is the next Modjadji, she is still greatly unaware of what this entails and so are her peers. As time goes by she will be groomed to take over from her uncle gracefully,” Molokwane concludes. So, if you plan on visiting the Rain Queen’s village in the near future, go with an open mind, go expecting to hear stories that will make you cringe and even maybe make you cry, go with a long skirt in your backpack and feet that are ready to feel the burn of mystical soil under their soles, but most of all go. Good article! Glad I read it because now I finally have a little insight into the legendary Modjadji. loved this piece! so interesting!